THE Apostle having given Timothy an exhortation to several particular duties, here gives him an exhortation to the Christian life in general. Wherein we have two things. 1. A description of the Christian life. It is not an easy, idle, inactive life; but, (1.) A fight, a combat, a wrestling: for there are many enemies set to keep us out of the promised land. (2.) A good fight. There are many ill fights in the world. The men of the world have many fights and squabbles about this world, the honours, advantages, and pleasures of it, not worth the fighting for. But it is a good fight, a noble and worthy fight, wherein true valour and magnanimity appears. (3.) A fight of faith. Some understand this of the doctrine of faith, as that which is to be fought for. I understand it rather of the grace of faith, by which the fight is to be managed. This comprehends the former; and is more agreeable to the practical directions, ver. 11, and the "laying hold on eternal life," which is done by the grace of faith. So it is a fight to be managed in the way of believing. 2. The word of command given: "Fight the good fight of faith:" Agonize, like a combatant, wrestler, puting forth your utmost vigour. Timothy was engaged already in the fight; but still he was in the field of battle, and the enemy not yet off the field: therefore it is said to him, Fight. Paul was going off the field, and he says, "I have fought a good fight, I have finished my course, I have kept the faith," 2 Tim. 4:7. Timothy was come on the field, and to him it was said, Fight. 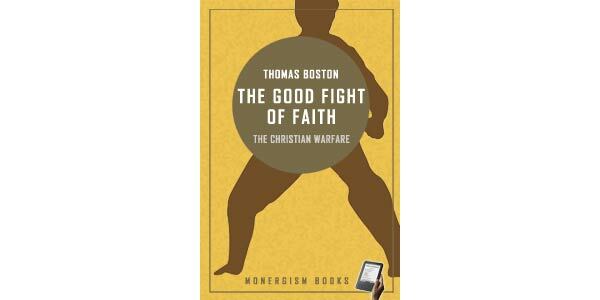 Doctrine: The Christian life is the good fight of faith, that must be fought by all that would see heaven. How Come faith has the preference among all the rest of the graces in this fight? In what Respects is is t Good Fight? 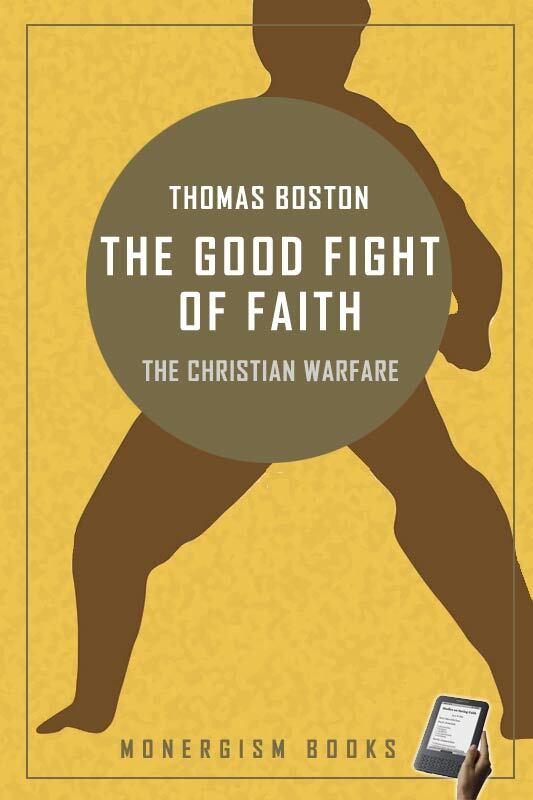 Why is the Christian Life Made a Fight? Why their fight is called a fight of faith? What are Seven Particular fights of faith? What Must We Fight Against? How? These weapons are wielded two ways.